On January 1, 2018 there were changes made to the Ontario Building Code in regards to electrical vehicle charging systems. The implemented changes were put into effect by the Ontario government’s Ministry of Municipal Affairs. In buildings other than apartment buildings, where vehicle parking spaces are located in a building, no less than 20% shall be provided with Electrical Vehicles Supply Equipment. The remaining 80% of the parking spaces must be designed to allow for future installation of electrical vehicle charging systems. Electrical vehicle charging systems must be installed in accordance with Section 86 of the Ontario Electrical Safety Code (OESC). Istall a reliable and state-of-the-art electric vehicle charging station for your business. Our line-up of charging stations are built for Canadian outdoor weather and designed for simultaneous charging scenarios. Our licensed electricians will assist you in choosing the right electric vehicle charger for your property type. Once you select your charger, we will have it installed. CoRe+ charging stations are perfectly adapted for a wide range of parking environments including workplaces, multi-unit residential buildings and commercial properties. 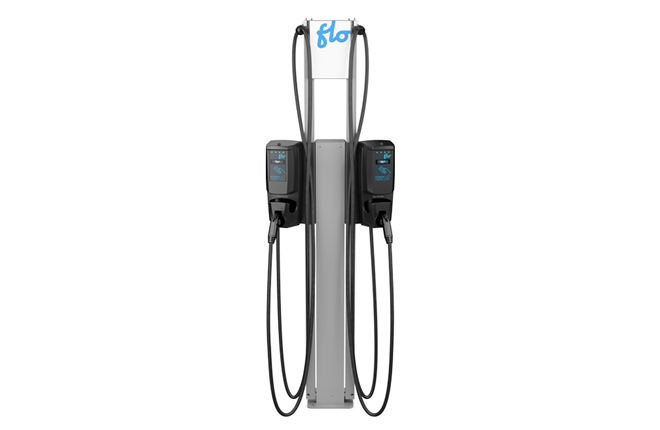 They are ideal for areas where many electric vehicles need to charge simultaneously, as they can be cascaded to minimize installation costs for the entire site.